The city council unanimously approved allowing Mayor Ed Riehl to move forward with plans to purchase the art deco movie theater from owner Jack Eck. 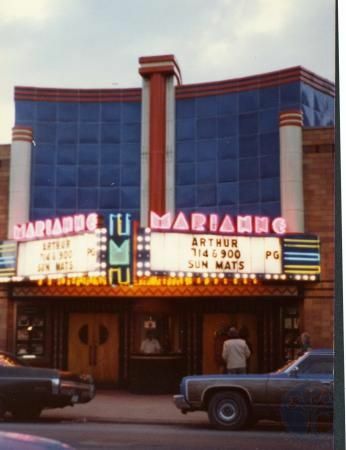 Built and opened in 1942, the Marianne operated as a one-screen movie house on the 600 block of Fairfield Avenue until it closed in 2000. In the years since, its attractive facade has caught the attention of many who pass by and inspired countless ideas about what to do with it. The Marianne, along with Sacred Heart Church, is considered one of two architectural icons in the river city. And now it could be returned to former glory, in spite of its reportedly deteriorating interior. "Everybody on this governing body should be proud we made this effort to make it happen. Hats off to everybody," Mayor Riehl said. The city will spend no more than $138,380 for the property after the mayor and city staffers continued what had been on-and-off-again conversations with Eck. Those conversations became serious in late 2013, Riehl said. "He approached us again to see if we were interested in purchasing it," the mayor said. "Jack Eck has been a good friend to Bellevue." Riehl said that one of the main priorities in acquiring the theater was to ensure that it did not end up in the wrong hands. City Administrator Kieth Spoelker said there are no immediate plans once the acquisition is completed. "Right now we're just happy we got it," he said. He and Riehl said there will be community conversations about what could or should be done with the Marianne. "It's not one of those buildings that are on every corner," Riehl said. "I think we have taken on a responsibility to make sure it does move forward and we don't get stuck spinning our wheels," City Councilman Rodney Poynter. 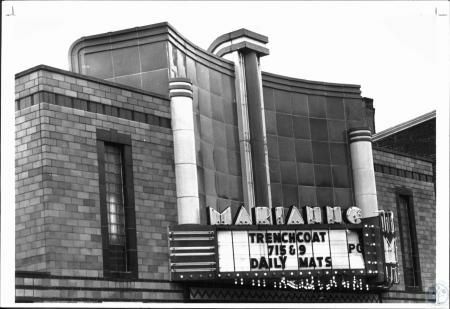 What to do about the vacant gem that is the Marianne has long been a topic of conversation in Bellevue. "Every candidate forum in the last ten years, I've heard someone ask, 'What are you going to do with the Marianne? '," Councilman Steve Guidugli said. "We can now make something happen with that building and move that forward, thanks to Mayor Riehl for having a good rapport with the owner. I think moving forward, it's going to be a real asset for our community and our citizens." 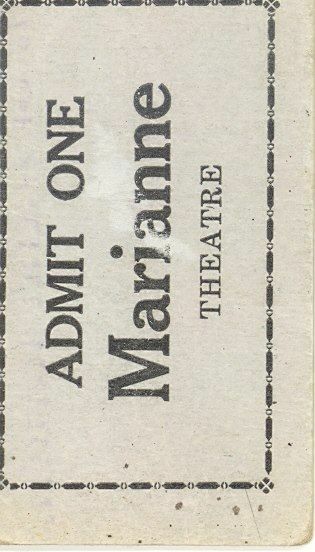 Citizens on social media reacted enthusiastically when the news was announced Wednesday night, particularly within Facebook groups called "Reopen the Marianne Theater in Bellevue, Ky" and "Bellevue Alliance", in addition to The River City News Facebook page.